Stainless Steel Multi Rainbow Color Plasma Coated !! 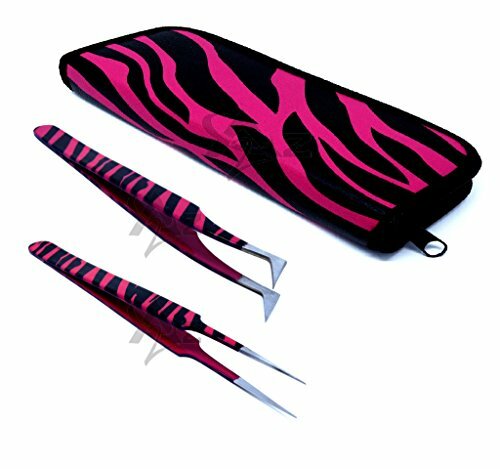 Incomparably Durable: Made with stainless steel and coated in Black and Pink Zebra color. The tips are pointed and durable and easy to clean. The tweezers will retain their honed edges even with frequent use to last for years. Work: Great for eyelash extension. Easily remove ingrown hairs, splinters, debris, thorns, glass, metal, ticks, and anything embedded under the skin, such as fingers, hands, feet, legs, nose, ear hair and also be used fine groom the eyebrows. suitable for picking, clipping nail art rhinestones or decoration. If you have any questions about this product by A2Z, contact us by completing and submitting the form below. If you are looking for a specif part number, please include it with your message.